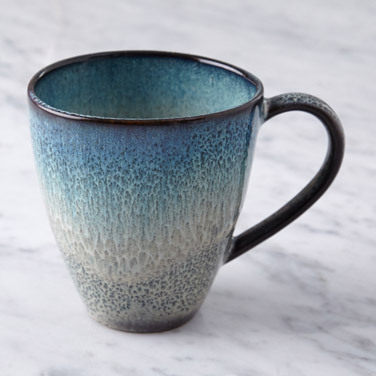 Crafted from a beautifully designed stoneware in Portugal, this mug from Considered is ideal for serving your beverage of choice. A refined piece with a unique hand-glazed finish, this is sure to add a striking touch to any dining experience. Dishwasher and microwave safe for added convenience. Items in this range are hand-glazed and some variation in colour and design may occur, thus adding to the unique beauty of each piece.